LifeSaver Soda failed. I think this would be a really good idea to be put on the market! I feel like so many people would buy these and they would make a lot of money off of these. 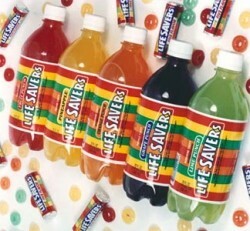 They said LifeSaver soda tasted really good but it would be like eating liquid candy.